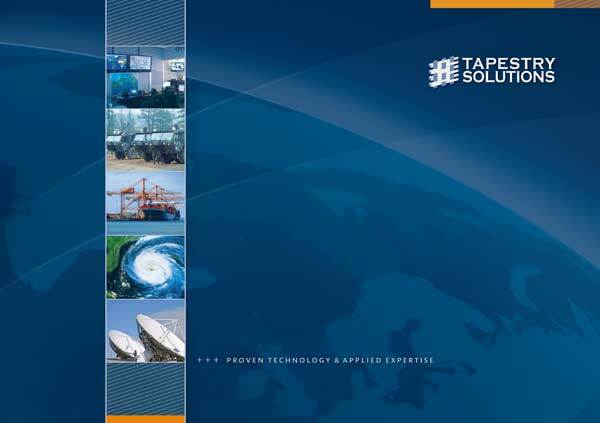 The Challenge: With product development completed and a solid base of defense and government clients, Tapestry Solutions was ready to start working with customers in the private sector. The Solution: Evolution Design designed a dark themed 16-page capabilities brochure in an uncommon format. We provided the finished pieces printed on thick stock for an extra-solid feel.